However, the solutions offered by many of the providers are often too expensive to be deployed by the majority of retailers. They can also be time consuming to set up and the format in which the analysed data is presented, can be complex. Fortunately, help is on hand with the introduction of VCA’s cloud based uCountit counting and tracking reporting solution. uCountit’s stripped down Dashboard, developed as a direct result of feedback from existing retail clients, presents the analysed metadata in the form of simple charts, heat maps and reports. The reports provide real-time information for each store, by hour or day of the week, presented in an understandable format. They are designed to be used with minimal training by operations managers, as well as store and marketing personnel, to assist them with refining their tactics for increasing sales, maintaining customer satisfaction and identifying opportunities to introduce business efficiencies, including making best use of human resources. uCountit can be accessed via a browser such as Internet Explorer, Google Chrome or Firefox. It does not require the installation of specialist software and provides secure data transfer even when operating under an unstable network environment. As a cloud based solution, it offers users the convenience of access to the Dashboard from any location on the network, allowing regional retail managers to monitor activity at individual stores and make comparisons with other stores, whilst they are on the move. uCountit has been designed to fully support VCA’s recently launched range of high definition IP network video cameras which feature its highly acclaimed analytics technology. 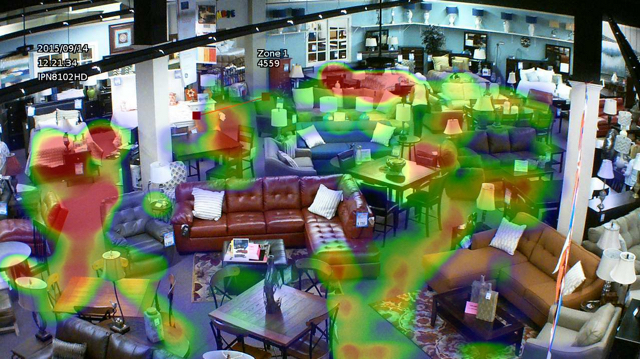 With over 300,000 VCA video analytics channels deployed worldwide in other manufacturers’ IP cameras and software, the technology is proven and accurate. Adding uCountit now provides a cost effective option.